Transportation to errands and appointments, laundry services, and three prepared meals a day served in a dining hall are just several services that may be offered at an independent living facility. Since not all facilities in Chattanooga have the same services and amenities it is important to decide what needs are most important to you. The key concept to keep in mind is that independent living is the lowest level in the senior housing spectrum because it does not provide assistance with activities of daily living or medical care, but rather focuses on promoting independence among residents.  Below is a list of retirement communities in Chattanooga, Tennessee and North Georgia. Ashwood Square is the beautiful new Resort Lifestyle Community under construction in the Hamilton Place area of Chattanooga and is set to open in the summer of 2018. Ashwood Square offers an independent environment for adults 55 and older with luxurious apartment choices in a safe community setting. Just minutes from downtown Chattanooga, The Terrace at Mountain Creek is the best kept senior living secret in town! The Terrace is a unique retirement community featuring Independent Living, Assisted Living, Mid-level Memory & Secure Memory Care. Garden Plaza of Greenbriar Cove offers the finest in retirement living by handling life's everyday details. We are committed to helping our residents enjoy a carefree lifestyle enhanced by convenience, fun and luxury. We celebrate their lives as we focus on providing the retirement they deserve. Creekside is a beautiful independent retirement community offering an all inclusive lifestyle in a simple monthly rent with no buy-in. We are pet friendly and situated on several acres of gardens and paths in a quite woodland retreat. Enjoy peace of mind, in our safe and secure community.